Stafford Springs, CT WW/Press/October 13, 2016 –F. Joseph Paradiso, Attorney with Paradiso & Musko, was selected for inclusion in the forthcoming Top Attorneys of North America 2017 edition of The Who’s Who Directories. 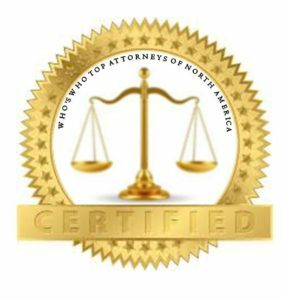 The accomplishments attained by Mr. Joseph Paradiso, in the field of Legal Services, warrants inclusion into the Top Attorneys of North America. F. Joseph Paradiso has been practicing for over fifty-six years in the area of wills and probate. His firm also focuses in zoning and land use, bankruptcy, workers’ compensation, real estate, personal injury, and criminal defense. Mr. Paradiso received his B.S. from College of the Holy Cross and his J.D. from Georgetown University. He is a member of the Tolland County Association, Connecticut Bar Association, American Bar Association, and the Connecticut Association of Municipal Attorneys. Be the first to comment on "Top Attorney – F. Joseph Paradiso"